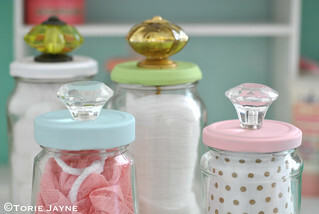 When I saw the upcycled jars with knobs on Pinterest from Lolly Jane I just had to make some! 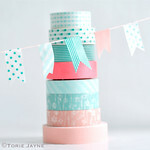 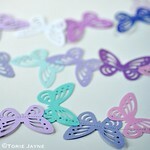 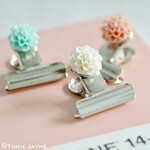 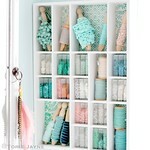 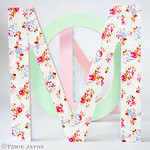 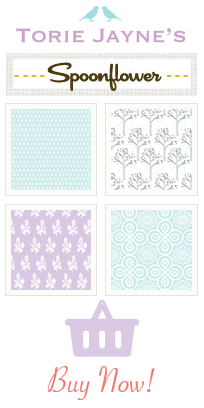 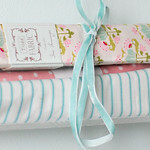 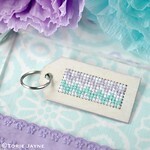 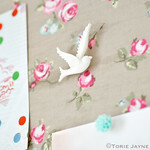 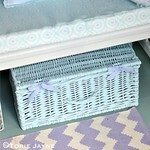 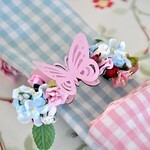 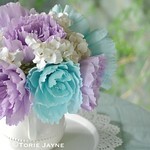 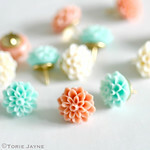 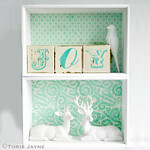 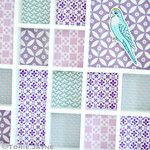 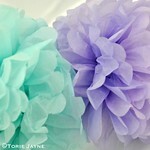 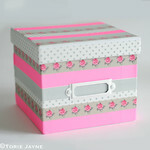 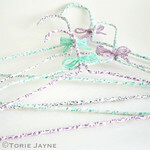 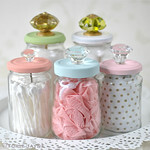 They just looked so pretty and I thought they would be perfect for my bureau in the guestroom. 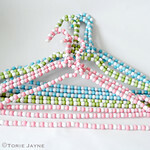 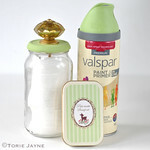 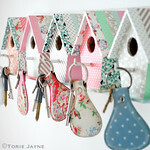 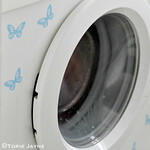 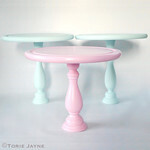 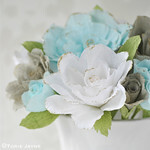 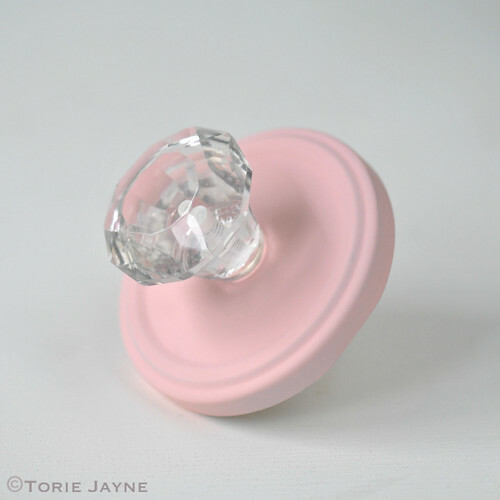 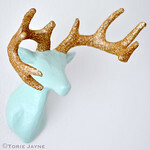 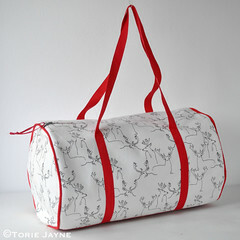 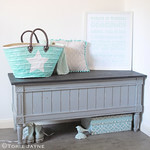 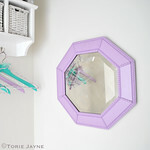 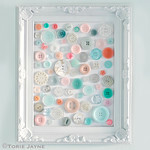 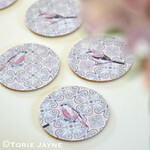 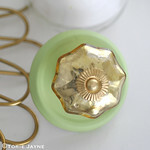 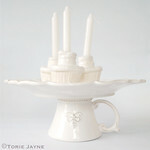 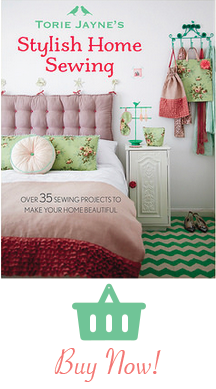 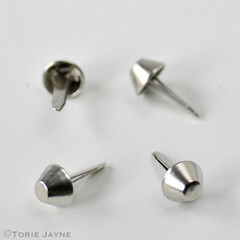 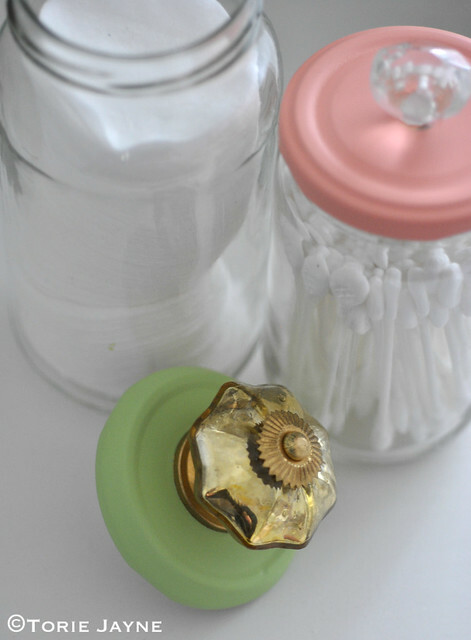 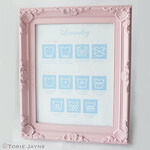 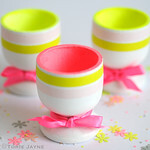 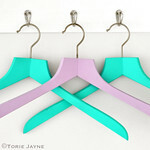 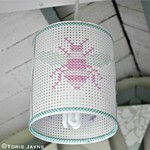 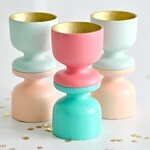 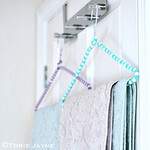 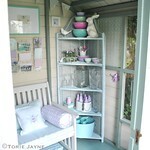 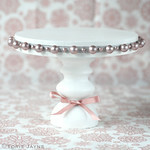 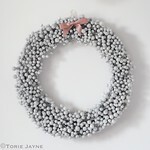 I made five of them using Valspar spray paint and various glass knobs from Bombay Duck. 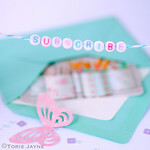 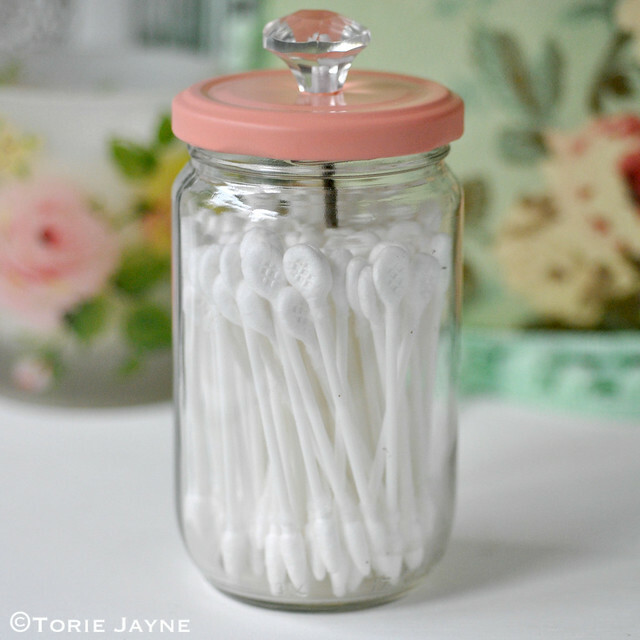 They fit perfectly in my bureau and I have filled them with cotton wool balls, pads and tips along with a wash and shower cap so my guests have little hotel luxuries! 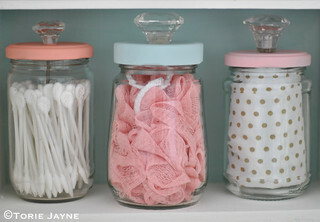 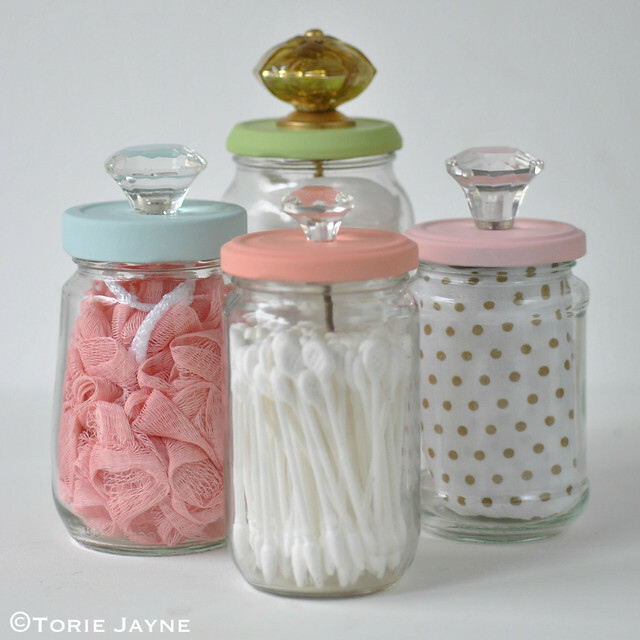 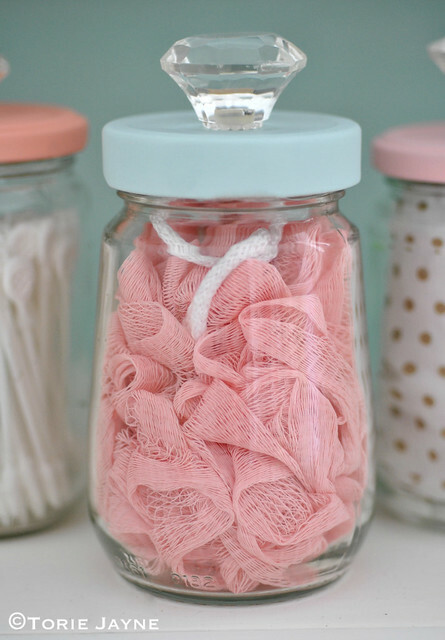 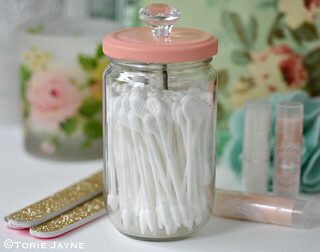 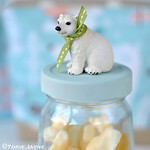 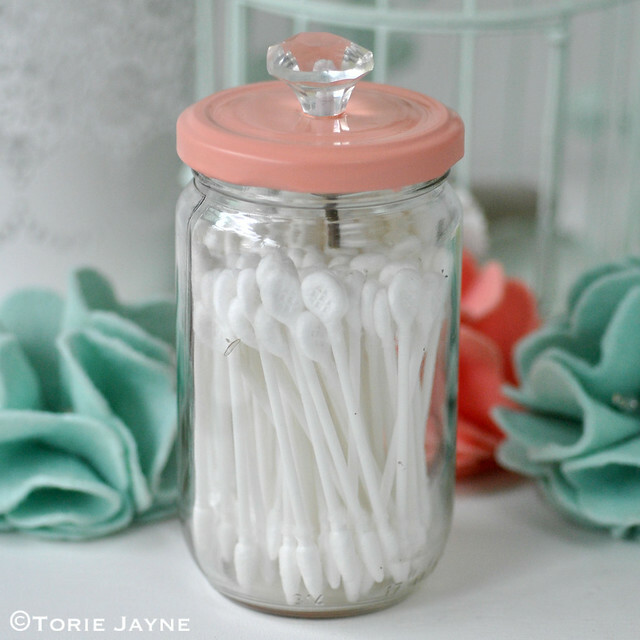 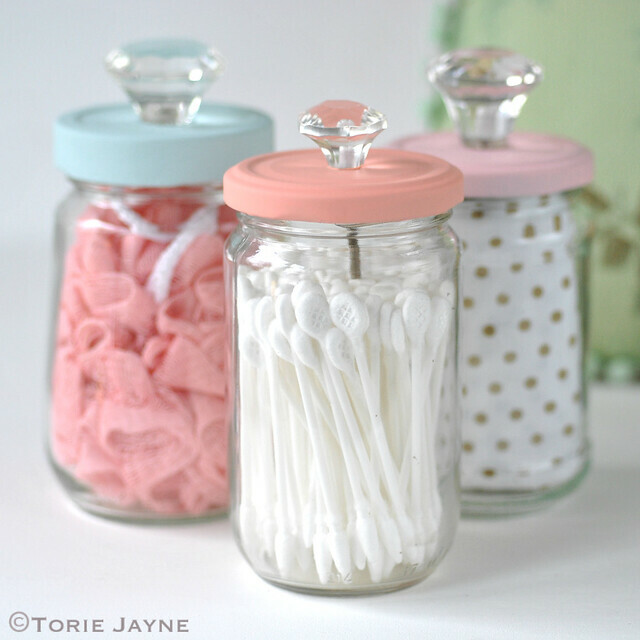 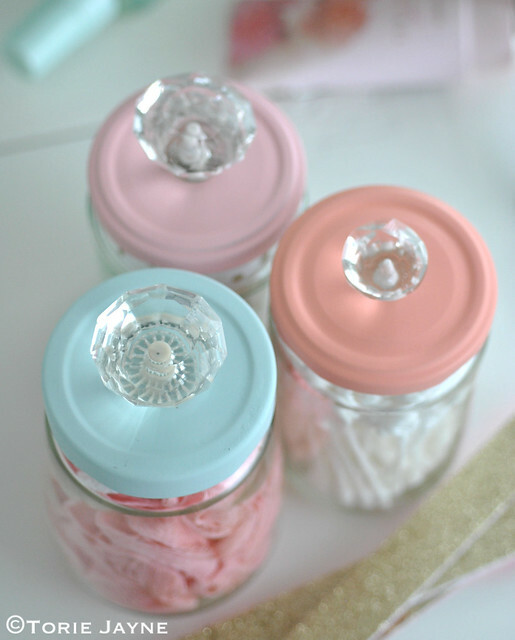 Start by ensuring your glass jars are clean and stripped of any paper labels etc. 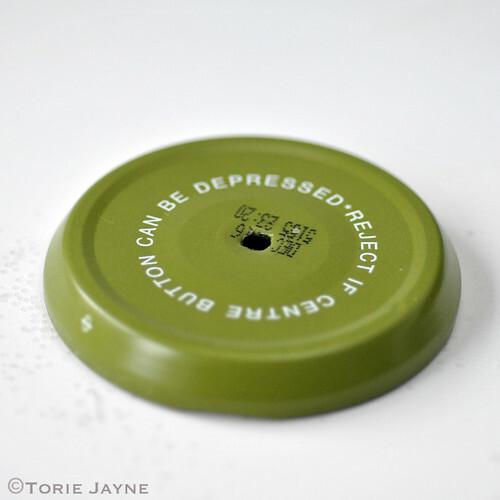 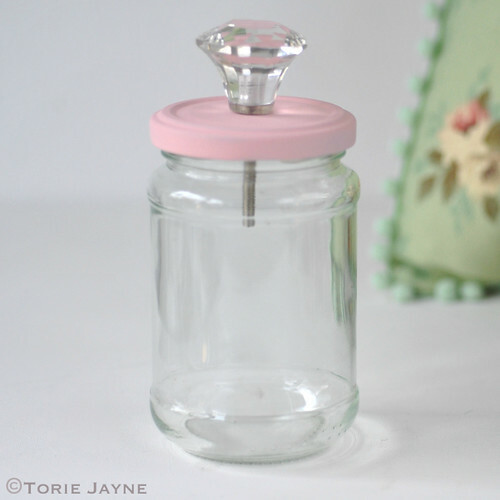 Carefully make a hole in the jar lid, I made mine using the blunt end of the knob. 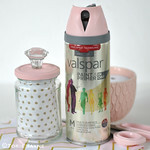 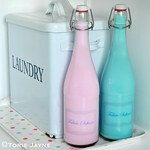 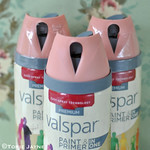 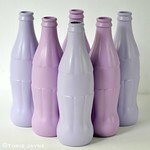 Spray paint lid, to get an even coat of paint, sweep the can horizontally and vertically past the bottles as you spray. 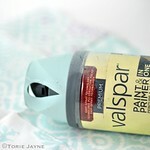 For the best finish, apply several thin coats of paint. 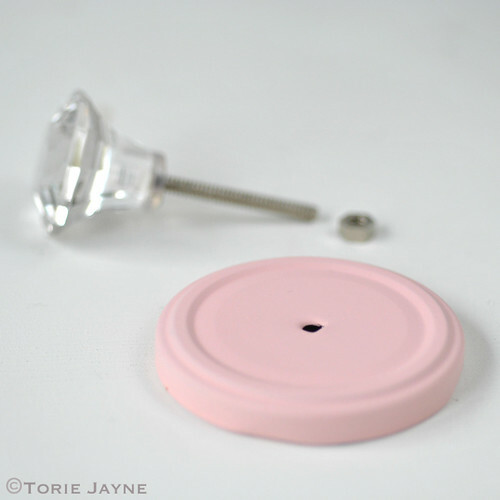 Insert knob and carefully wind the nut onto the screw to secure. 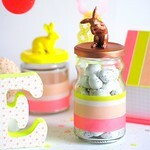 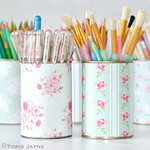 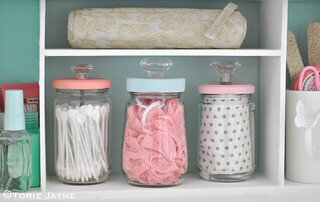 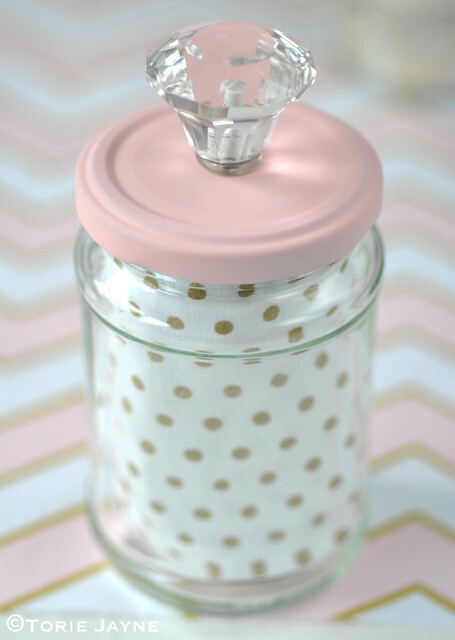 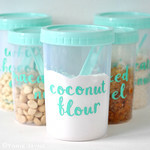 Attach lid and voila, a pretty storage jar!